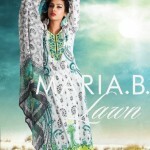 MARIA.B DESIGNS (PVT) LTD is the largest manufacturer and retailer of women’s fashion garments in Pakistan, with a large clientele in the US and Europe.Maria B Lawn is a summer line with most trendy screen designs printed on lawn with chiffon dupattas.Today MARIA.B is the only fashion house with a vertically integrated industrial scale production facility and one of the largest network of outlets in Pakistan. 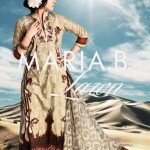 In Pakistan Maria B bridal dresses and formal dresses demands never goes down. 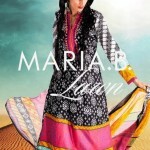 With a large skilled workforce of over 200 employees and a team of professionally trained designers and an export oriented vision, MARIA.B is all set to become one of the most powerful fashion houses from South Asia.